University of California Irvine life science marketing events are a great way to generate lab sales leads and market life science solutions. The university is a research powerhouse committed to rigorous academics and groundbreaking research. Biotechnology Calendar, Inc. invites science researchers and lab suppliers interested in marketing and learning about life science solutions on the West Coast to attend our Irvine BioResearch Product Faire™ Event on October 8th, 2013. Spaces are available for lab suppliers interested in generating lab sales leads in California. Last year, the Irvine BioResearch Product Faire™ Event had 119 attendees, of which 35 were purchasing agents, professors and post docs, and 3 were lab managers. These visitors came from 22 research buildings and 32 departments around campus. The University of California Irvine has a number of cutting edge research departments conducting groundbreaking work. Some of the life science centers in which researchers are producing studies include the California Center for Antiviral Drug Discovery, the Center for Autism Research and Treatment, the Center for Chemical and Structural Biology, the Center for Drug Discovery, the Center for Environmental Biology, the Developmental Biology Center, the Institute for Immunology, the School of Physical Sciences Center for Mathematical and Computational Biology and the UCI Stroke Center. For a full list of all research centers and institutes at the University of California Irvine and links to each center’s individual page, please visit the Research Centers and Institutes page. In addition to having a diverse program of research centers and institutes, the University of California Irvine receives a great deal of research funding from the NIH and NSF. 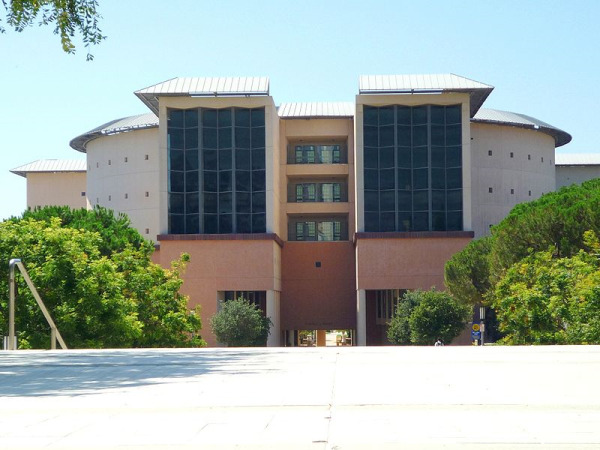 In 2012, the NIH gave the University of California Irvine $127.1 million in research funding. The top funded life science department receiving funding from the NIH was microbiology, which received 20 awards totaling $14.6 million. In 2011, the NIH ranked the University of California Irvine 49th in the country for direct plus indirect costs, excluding R&D contracts and ARRA awards. The total costs that year were $119.9 million. To view a full list of departments receiving funding at the University of California Irvine, please visit the NIH website. The University of California Irvine also received $38 million in research funding from the NSF in 2012. Of that money, $2.8 million went towards life science departments alone. The top funded NSF life science project at the university was concerned with retinoic acid signaling inducing ETS repressor proteins to promote primary neurogenesis and received $520,000. In 2010, the NSF ranked the University of California Irvine 61st in the country for total R&D expenditures in the life sciences. The expenditures that year totaled $197.8 million. For more information on NSF funding, please visit the NSF website. If you are a lab supplier interested in marketing life science solutions and generating lab sales leads at life science marketing events in California, Biotechnology Calendar, Inc. would like to extend the invitation to attend our Irvine BioResearch Product Faire™ Event on October 8th, 2013. Biotechnology Calendar, Inc. is a full-service science research marketing and events-planning company that has been organizing university trade shows for 20 years. If you would like to attend life science marketing events at schools closer home, we encourage you to view our 2013 calendar of events. For more funding and vendor show information on the University of California Irvine, please click on the button below.